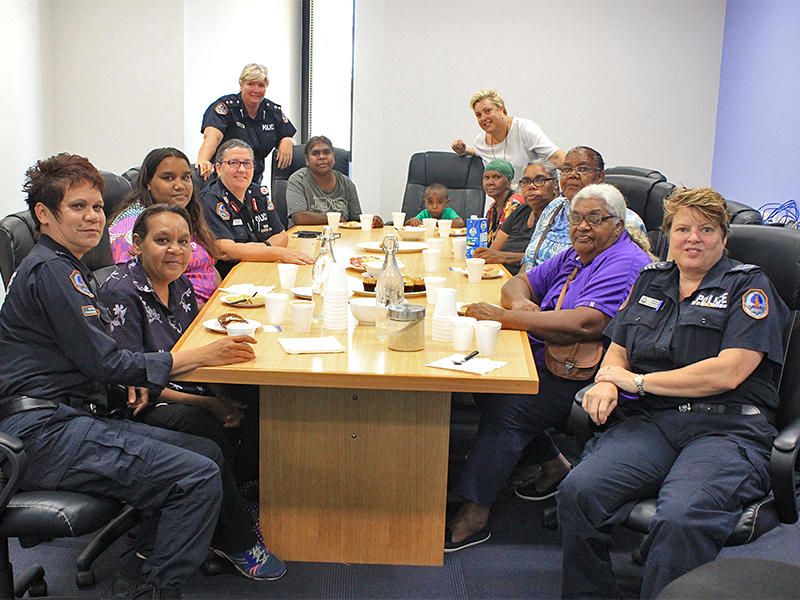 Northern Territory Police meet regularly with Tangentyere Council to discuss issues relating to family violence in town camps. Tangentyere Council’s Women’s Safety Group was created in 2014 in response to a group of women’s concern about family and domestic violence. The women actively campaigned to have a program that focussed on family violence in the town camps. The group recently met with the Assistant Commissioner Jeanette Kerr and Superintendent Helen Braam to discuss these issues. The Women’s Safety Group has developed a range of resources for women regarding violence and is pivotal to changing the culture of violence in community. Their key message is that family violence is not part of a healthy relationship and this type of violence should not be normalised. “In late 2014, a woman was killed in a town camp due to family violence,” said Maree Corbo, Program Manager with the Tangentyere Council Family Violence Prevention Programs. “Unfortunately, despite a range of services offering support, she felt unable to seek help. The Women’s Safety group meet Assistant Commissioner Jeanette Kerr.